Being American means that you have respect for your country; it means that you have integrity and moral ethics; that you show patriotism and that you support your country no matter what. “America is not the greatest country in the world anymore.” - Will McAvoy, a character from HBO’s Newsroom created by Aaron Sorkin. People from around the world have been immigrating to North America since there has been people on Earth. Up until 1492 when the European conquistadors started exploring the globe and “discovered” the America’s, it was not recognized as “immigration.” People were encouraged to immigrate to the America’s and leave Europe. Their reasons for immigrating included escaping religious persecution, new opportunities, promise of riches, and escaping the monarch among others. When did immigration become a problem though? What changed in history to make American’s believe that immigration is a bad thing? In a New York Times publication of former Vice President Joe Biden’s speech on September 14, 2017, he says, “America does not simply protect its own interests, but tries to advance the aspirations of all.” This may be why many people either legally or illegally immigrate to the United States. The United States offers more opportunities than most countries; many people want to embrace those opportunities and see what they can accomplish. DACA, or the Deferred Action for Childhood Arrivals, is a program that allows illegal immigrants that were brought to America as children to work legally in the United States. This program has protected approximately 800,000 illegals. President Trump aims to end this program and deport the 800,000 illegals who are currently in the US. However, these undocumented immigrants are just trying to embrace their opportunities granted to them by former President Barrack Obama when he first enacted DACA. Being American means that you have respect for your country; it means that you have integrity and moral ethics; that you show patriotism and that you support your country no matter what. You accept your own responsibility as an American to stay informed of what is happening and know what you can do to help the societal/economical problems that may arise. In the film American Creed, Eric Liu said, “I can express my political opinions without being scooped up.” In many countries you cannot speak out against the political party in office without serious repercussions. Although, in America people are praised and encouraged to speak their mind on political matters so that the campaign will sway one way or the other. For a majority of people, their own ancestors were at one point immigrants. Our own veterans who fought for our country are homeless. Our own citizens need food, shelter, healthcare, and jobs. In order to better our own country, we need to focus expenditures on ourselves. We need to fund our own programs instead of those in foreign countries. We need to focus on ourselves, before we can focus on everyone else. However, the United States aims to protect the rights of people all over the world. We aim to provide asylum to those seeking protection from their own country, food and shelter to those in war ridden countries along with medical supplies. We allow refugees into our own country for aid when their countries cannot provide. The goal of the United States democracy is to please and represent the people while still protecting rights and values. Vice President Biden, states, “Leading with our values also means that we speak out when nations violate their citizens’ rights.” For this reason, the United States has engaged in multiple foreign wars over humanitarian rights. We intervene when a mass genocide is happening, when countries are testing their weapons of mass destruction are being tested on their own people, and to stop the spread of communism. This group is comprised of Columbus High School students in Columbus, Montana. 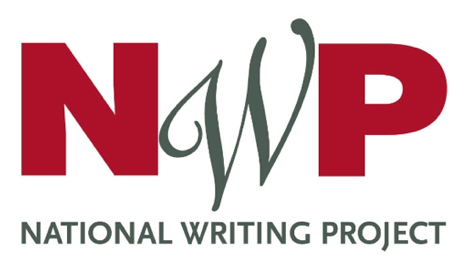 They have written arguments with the National Writing Project's C3WP materials to answer the question "What does it mean to be American?" posed by Mark Meckler in the documentary film American Creed. To me, being American is much more than just being an American citizen or living in American. Everyone is here for a purpose. Everyone wants to live their own version of the American Dream. If you want to be able to have individual liberty and opportunity, you are going to come across struggle. We live in the land of the free but in order to have this, there will be struggles that come along. We as a country need to get more connected with each other and stop using our smart phones and social media to speak to each other. We need to talk face to face about the countries problems and what is going on in our country. Blocking each other's paths through following your own is never going to allow for a mobile American Dream, which will never repower the America that once was. More letters about "morality " and "patriotism"
My family has a history of serving in the military and it has engraved in me a high sense of patriotism. Each stanza in the poem is directed to a specific audience, friends and family, government, and fellow soldiers; also each photo relates in someway to each stanza. The media tends to focus on the negative actions of the people who protect the citizens of The United States and their right to life, liberty, and the pursuit of happiness. 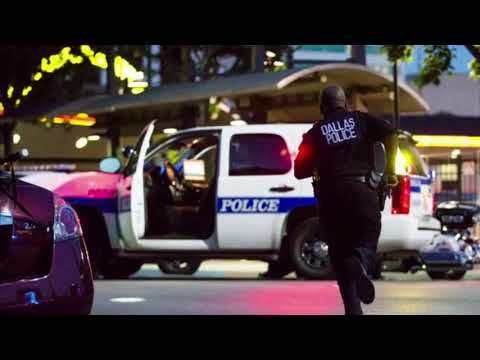 This video will highlight the sacrifices they have made for our safety. I talk about what I think it means to be America. 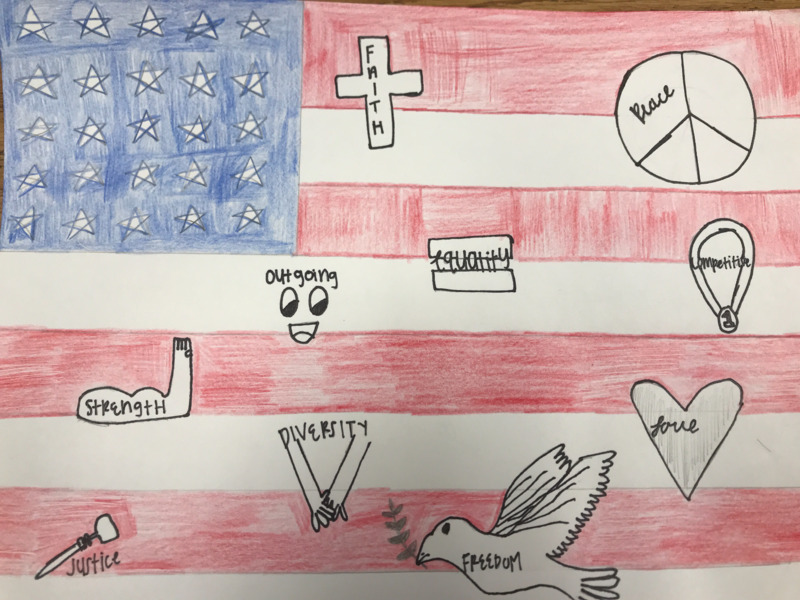 For my project I drew an American flag and drew the symbols that I believe America stands for: freedom, faith, peace, outgoing, strength, equality, competitive, diversity, justice, and love. America to me is strength and freedom. What does America mean to you? 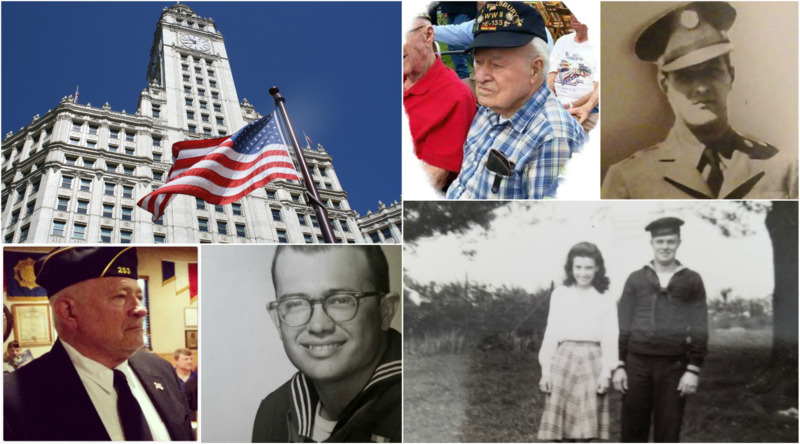 My piece about how there are generational differences about how patriotism is shown.